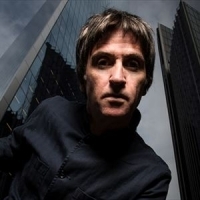 English alt-rock and indie-pop guitarist who rose to fame as the guitarist with The Smiths. After their demise, Marr worked with Bernard Sumner as Electronic and toured/recorded with The The, Modest Mouse and The Cribs. He released his solo debut album, "The Messenger" in 2013, followed by: "Playland" (2014), plus 2018's: "Call the Comet".